Arnold Toynbee writes ‘What is Pakistan? It was the first successful step in this 20th century to realise their (Muslims) 1200-year-old dream of complete subjugation of this country. The country witnessed a holocaust. What followed was a never before seen cataclysm. The transfer of population that the Congress leaders wanted to avoid, took place. They were killed, robbed, looted in transit. As the biggest migration of population in recorded history was in progress, a most dangerous situation arose in the capital. Every 4th person in Delhi was a Hindu or Sikh refugee from Pakistan. This lead to a lot of anger against the Congress leadership. A number of organisations were involved in service activities for the refugees, giving them shelter, support and succour in their times of great tragedy. Guruji Golwalkar of RSS gave a call to the RSS swayamsevaks not to leave Pakistan until the last Hindu is safely moved from the troubled areas. Thousands of swayamsevaks gave up their lives in this cause. This is documented in the book, Jyoti Jala Nij Praan Ki. A missing Netaji Subash Chandra Bose (under mysterious circumstances), an assassinated Gandhi, an implicated Savarkar, and a reviled Golwalkar ensured that Nehru had a free run. In fact even in 1953, a potential contender like Shyamaprasad Mukherjee died under mysterious circumstances in the jail of J&K. This was a state managed by Nehru directly. – When Gandhiji was shot point blank, why was he not moved to a hospital and moved to Birla House? – Was there no intelligence inputs on the assassination? When there were 4 earlier attempts to murder Gandhi, what were the additional measures taken by the Nehru government to provide security. Did any heads roll? – Why was Nehru in a hurry to find an organisation to link Godse with when Godse was insisting he was doing it in an individual capacity? Prof. Rajendra Singh, 4th Sarsanghchalak of RSS in an interview to Outlook (Jan 1998) said regarding Godse “Initially, he was a member of the Congress, later he joined the RSS and left it subsequently, saying that it was a slow organisation. Then he formed his own group.” Godse left the RSS in 1934 and joined the HMS as per his own admission to the court. He then formed his own group. 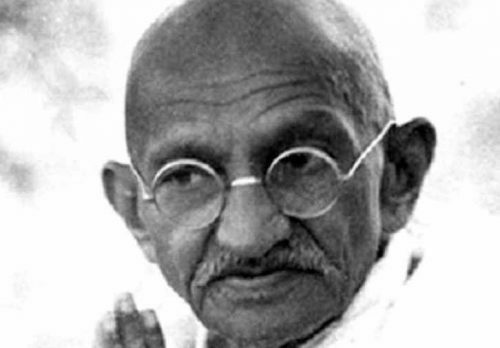 Gandhi was assassinated in 1948. Prof. Rajendra Singh had asked, “If investigations were done on whether RSS was involved in the assassination, why were there no investigations whether Congress was involved in allowing the assassination to happen”? (since he was a member of both the organisations and had left them).